Omega Tool, located in Windsor, Ontario, is known for its high-quality mold making capabilities in the automotive market, including tooling for consoles, door panels and fascias. When the automotive market began to shrink, Omega Tool wanted to find a way to increase the rate and capacity of its large mold making capabilities, all while improving efficiency with reduced setups and secondary machining operations. Omega Tool needed to invest in high-performance horizontal machining centers to achieve its goals. It purchased a Makino a81 horizontal machining center for its small to medium-sized applications, and a Makino A100E horizontal machining center for its mid-sized to large applications. This investment enabled the company to eliminate outsourcing for some of its large mold making orders, keeping processes in-house for shorter lead-times, higher efficiency and greater profitability. One a81 machine was more efficient than all six of Omega Tool’s previous vertical machining centers, increasing productivity by 30 percent. The machine’s quick tool changes, fast acceleration and deceleration, and automatic pallet changer keep spindle uptime at 85 to 90 percent. Several jobs can be accommodated in a single setup. 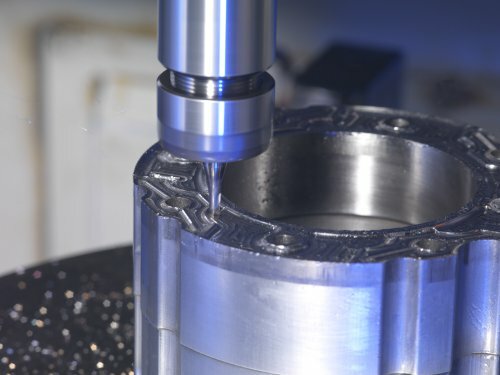 In one application, overall machining time was reduced by one-third. Accuracy and finishes have also improved since the installation of the a81 machine. A fixture coordinate system (FCS) is used with Makino’s control software, ensuring accuracy during setup and eliminating the potential of human error. Tolerances of plus or minus 0.0001 inch with repeatability within plus or minus 0.00005 inches has enabled the company to reduce its labor activities by over 20 percent. The A100E machining center has helped the company recapture hundreds of thousands of dollars in large mold making orders that had previously been outsourced. This new equipment also acted to help reduce secondary machining operations, decreasing previous bench work by over 20 percent. Like the a81, spindle utilization is over 90 percent, and there is an overall increase in speed of 30 percent, compared to the company’s existing machine operations. The machine lets the operator access all sides of the mold, significantly reducing setups.